As a huge fan of suspense, the prologue of this book hooked me. College professor Adam Snow is in jail awaiting a jury verdict. He is suspected of murdering Madeleine, a mysterious young woman whom he met just days prior to her disappearance. Through a series of journal entries, he recounts their bizarre relationship–from the day they met to the moment she disappeared. Even though the facts against Snow are very incriminating, his side of the story clearly proves that he had nothing to do with what happened to her. Or did he? This book has a unique layout. Each chapter heading features a famous painting, the number of days the jury has been in deliberation, and the time of day. Each painting is mentioned (and sometimes analyzed) in its corresponding chapter. I’m not very knowledgeable about art, but I enjoyed looking at the paintings and thought it was clever the way they were woven into the story. Something I noted while reading was that the writing is smooth. I’ll also add that Gilboy’s style is unique and quite witty at times. In addition to details about his relationship with Madeleine (and his odd attraction to her), Snow recalls many childhood memories. The back and forth nature of his narration (from Madeleine to his childhood) was not at all confusing for me. However, there are paranormal and spiritual aspects to this story that threw me for a loop and ultimately left me feeling disappointed at the end. I just didn’t know what to think. 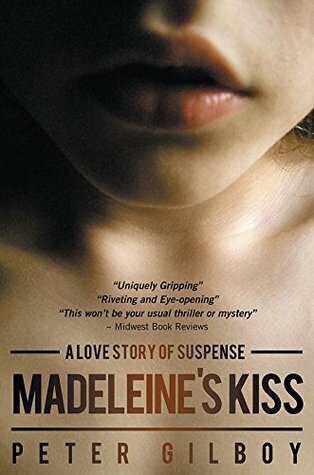 What happened to Madeleine?! Many thanks to the publisher of this novel for providing me with a complimentary copy via NetGalley. Previous postAm I Really “Livin’ the Life”?